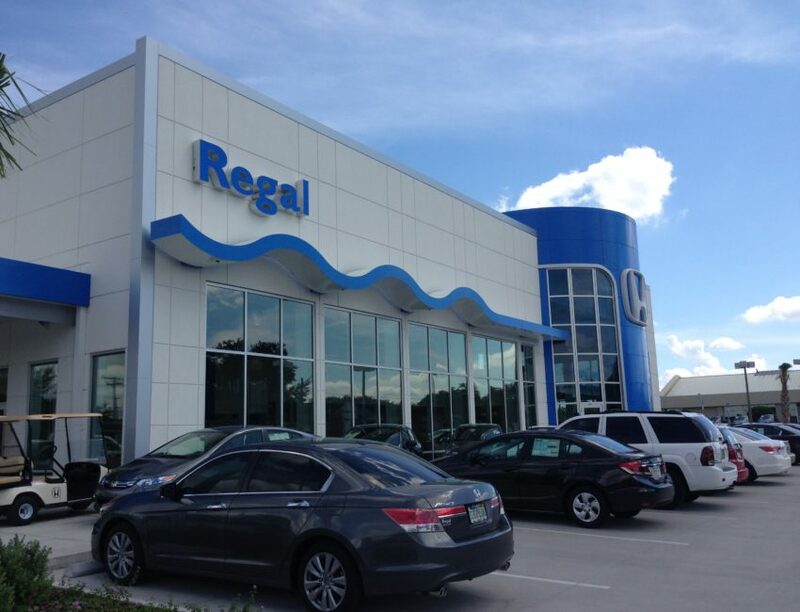 Regal Honda – Spring Engineering, Inc.
Spring Engineering, Inc. was commissioned to design the Regal Honda project located at 2615 Lakeland Hills Boulevard in Lakeland, Florida. 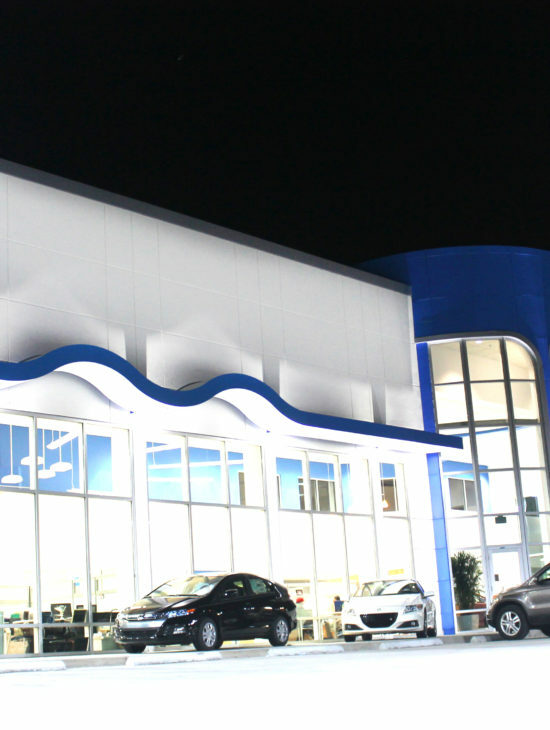 The scope consisted of the demolition of the existing sales facility and the construction of a new two-story building that contained the showroom and administrative offices. The second floor of the parts department was extended to the existing service building creating a covered service drive. 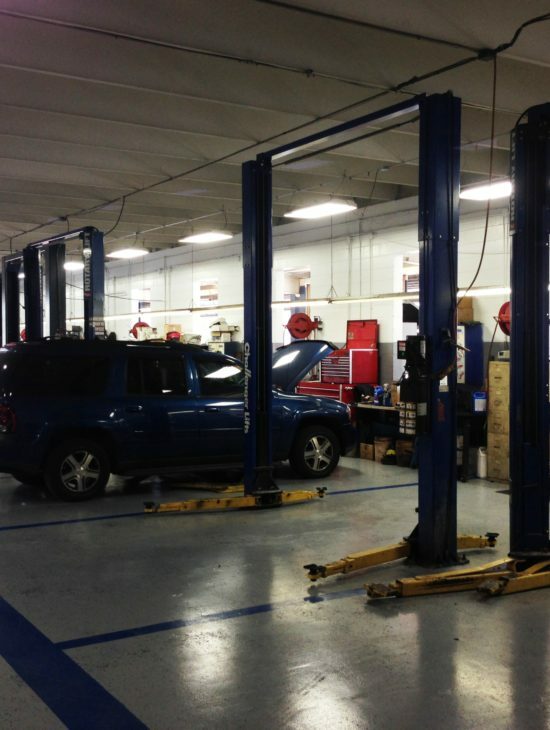 The existing service department was also renovated to current standards. The scope of work provided for this project included but was not limited to: programming, addressing existing site conditions, site design, 3D renderings and new construction.